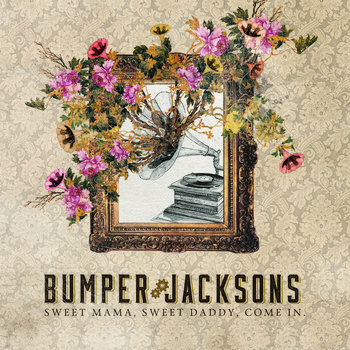 It's hard to ask for an album that's more delightful than Sweet Mama, Sweet Daddy, Come In. The DC-based band heavily culls from ragtime, early swing, and blues -- verily, the origins of the country and rock'n'roll most often enjoyed on this blog. This album feels like a time machine back to New Orleans at the turn of the century -- can't you feel the steam rising off these tracks? I don't know what it's like to hang out on the back porch and play some songs, but I hope it's a lot like this, even if it means I'm missing out on a lot. The band pays due reverence to these songs but is by no means trapped in the past. They're having way too much fun to be bogged down in authenticity -- that's the whole point of this music, after all. There's also a contemporary, minimalist sensibility here -- all the good stuff is included and all the crap's been left on the cutting room floor. An honorable mention must be given to "The Bacon Adoration" for combining the carefree atmosphere of early jazz and our generation's strange preoccupation with bacon.